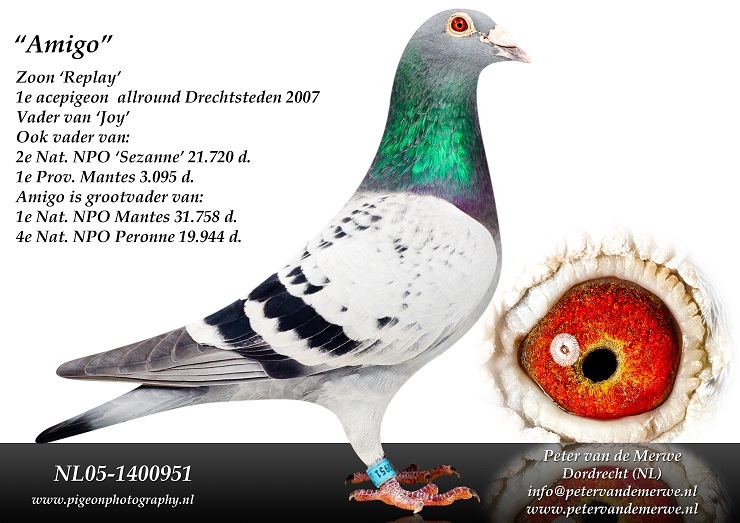 Season after season the pigeon breed of Peter and Gwen van de Merwe shows its exceptional strength in the Netherlands and at international level, with the descendants of Replay, Amigo and many other champions playing a key role. 1st National Chateauroux 37,819 p.
1st NPO Ruffec 4,133 p.
1st NPO Nanteuil 15,640 p.
Nathalie:      1st NPO Chantilly 30,074 p.
Pikeur:        1st Province 5 Ablis 40,268 p.
9th Nat. NPO Bourges 12,905 p.
29th Nat. NPO Tours 10,976 p.
Replay Junior: Its youngsters have won 10 top 10 prizes NPO/Prov. Miss Lucky:                 1st Nat. NPO sector 2 Blois 15,172 p.
Mister Ablis:               1st Nat. NPO sector 2 Ablis 18,911 p.
Joy:                        1st Nat. NPO Ablis 15,871 p. and 2nd Nat. 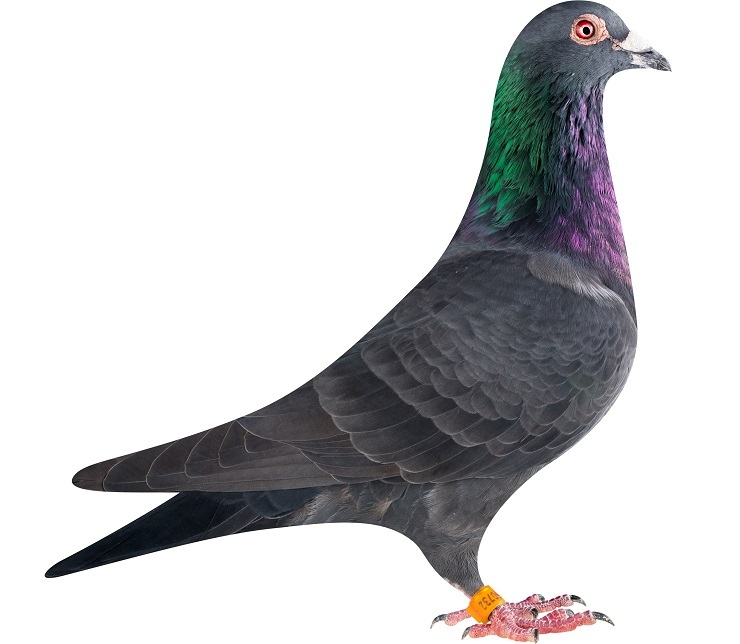 Sezanne 21,720 p.
Marcel:                     1st Nat. NPO Blois 13,155 p.
7th Prov. 5 Pt.-St.-Maxence 12,189 p.
8th Pt.-St.-Maxence 12,189 p. and 27th NPO Chateauroux 5,907 p.
NL15-1060736:               1st Duffel 3,544 p. and 1st Asse Zellik 1,202 p.
NL14-1060755:               1st Peronne 602 p. and 3rd Fontenay 15,222 p.
55th NPO Argenton 7,374 p.
NL15-1708719 with a 1st Duffel 2,474 p., 1st Quievrain 2,069 p. and 1st Peronne 1,008 p.
NL15-1708720 with a 1st Duffel 2,355 p. and 12th Duffel 1,064 p.
NL15-1708747 with a 1st Quievrain 3,752 p., 8th Pt.-St.-Maxence 6,160 p., 8th Duffel 1,064 p.
NL14-1061639 with a 4th NPO Nanteuil 15,640 p. and 12th Prov. Peronne 19,772 p.
Tiesto       with a 1st Prov. 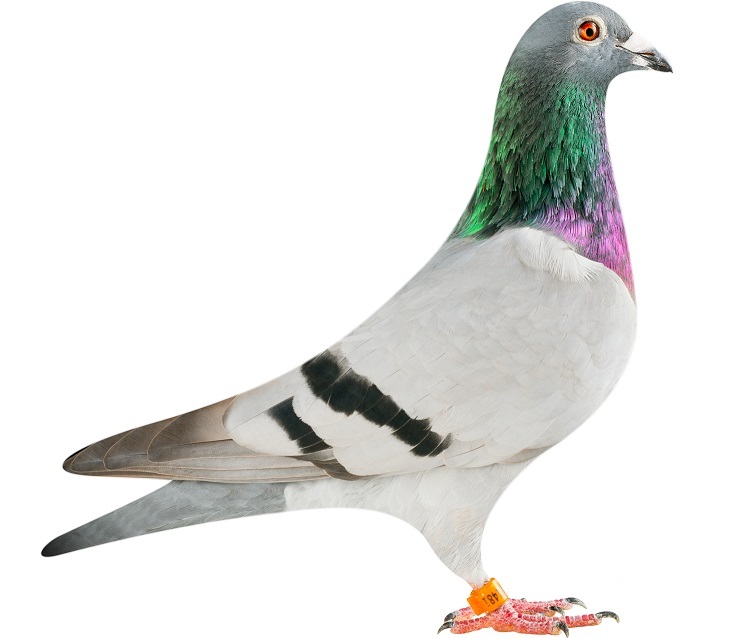 5 Nanteuil 13,814 p. and 1st Sens 1,332 p.
Amine        with a 4th NPO Ruffec 3,839 p., 6th Peronne 5,184 p. and 6th Peronne 3,199 p.
In addition to the list of achievements above, we would like to discuss a few more pigeons bred from Replay and Amigo. 7th Pt.-St.-Maxence 316 km 12,189 p.
28th Nanteuil        326 km  9,866 p.
23rd Mantes-la-Jolie 377 km  7,517 p.
37th Nanteuil         326 km 8,709 p.
8th Roye            270 km  1,773 p.
3rd Asse-Zellik     106 km    620 p.
23rd Duffel           79 km  2,637 p.
11th Peronne         243 km    889 p.
14th Pt.-St.-Maxence 316 km    750 p.
The sire of Black Jack is Tygo, and Tygo is a son of Replay, which we already mentioned. The dam of Black Jack is Blacky 380, and she is the grandmother of a 3rd NPO Nanteuil (15,722 p.) and an 8th Morlincourt (18,848 p.). Click here for the full pedigree of Black Jack. 1st Duffel       79 km  3,544 p.
1st Peronne     243 km    127 p.
2nd Duffel       79 km  1,243 p.
3rd Menen       154 km  1,751 p.
3rd Quievrain   170 km  1,057 p.
5th Duffel       79 km  1,023 p.
10th Asse-Zellik 106 km  3,891 p.
23rd Peronne     243 km 11,680 p.
16th Duffel       79 km  2,533 p.
She now has a proven record in the breeding loft as well; her youngsters have already won a 17th Quievrain (2,366 p.) and an 18th Nanteuil (2,192 p.). 1st Duffel           79 km 3,544 p.
1st Asse-Zellik     106 km 1,202 p.
2nd Duffel           79 km 1,243 p.
3rd Menen           154 km 1,751 p.
3rd Quievrain       170 km 1,057 p.
1st Peronne         243 km   127 p.
27th NPO Chateauroux 595 km 5,907 p.
46th NPO Ruffec      722 km 4,133 p.
76th NPO Bourges     549 km 9,747 p.
1st Duffel     79 km 2,474 p.
1st Quievrain 170 km 2,069 p. (and fastest of 6,734 p.). 1st Peronne   243 km 1,008 p.
3rd Quievrain       170 km  3,900 p.
10th Pt.-St.-Maxence 316 km 10,189 p.
11th Pt.-St.-Maxence 316 km  7,614 p.
17th Bourges         549 km  9,742 p.
4th Asse-Zellik     106 km  2,155 p.
3rd Duffel           79 km  1,023 p.
13th Asse-Zellik     106 km  3,891 p.
55th Ruffec          722 km  4,133 p.
35th Pt.-St.-Maxence 316 km  1,857 p.
1st Pt.-St.-Maxence 316 km 1,857 p.
2nd Quievrain       170 km 1,057 p.
6th Asse-Zellik     106 km 2,155 p.
7th Peronne         243 km 2,465 p.
14th Nanteuil        326 km 3,306 p.
10th Peronne         275 km 2,247 p.
A well thought out breeding strategy has allowed Peter to create the top level breed that he has today, with such top class pigeons as Replay, Amigo and many others that continue to play a crucial role. 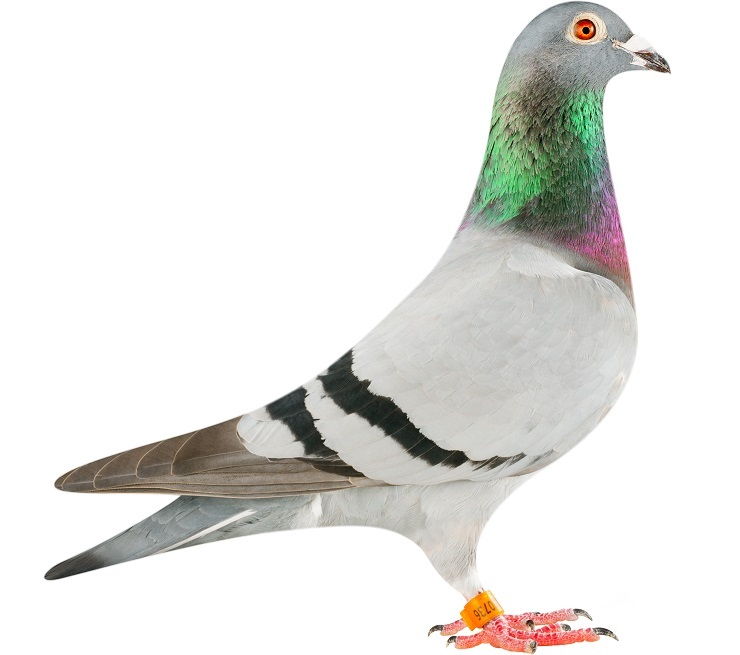 In fact, his pigeons have been achieving great results for other fanciers as well, both at home and abroad. For instance, the national champion middle distance not-nominated 2016 Maarten Hijsmans won a 1st NPO Creil (12,496 p.) with a grandchild of Replay. 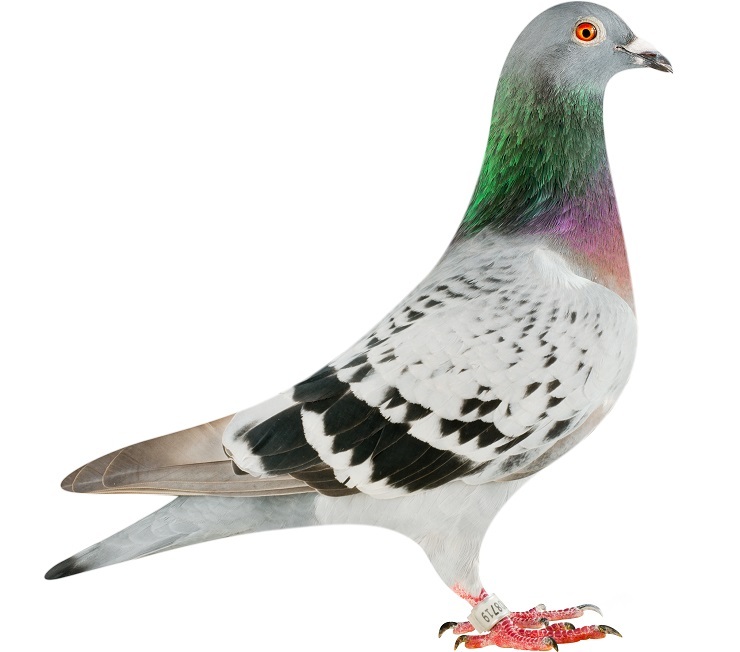 The Italian fancier Luca Campanini did great with Peter's pigeon breed as well: a son of Replay became 3rd National Ace Pigeon Yearlings, and he also represented Italy at the Nitra Olympiad (2013) with two pigeons that were heavily based on Van de Merwe. 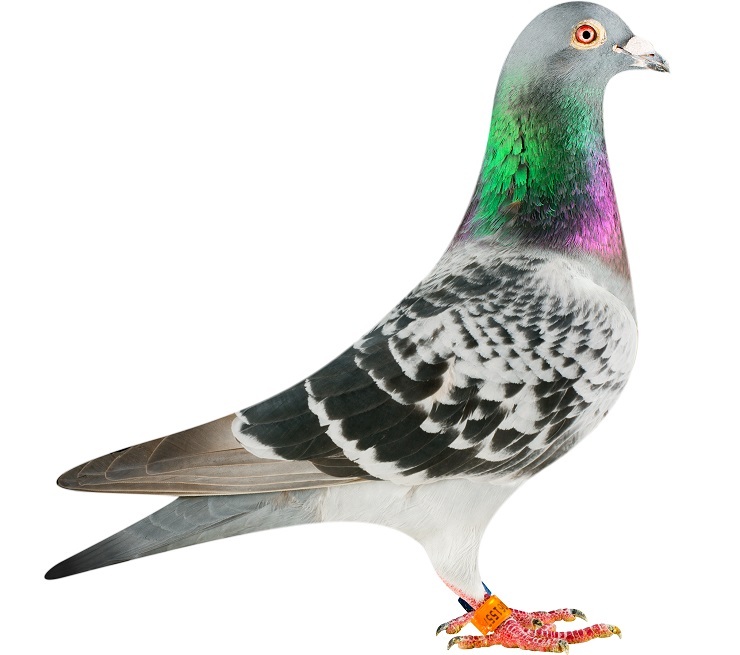 Christiano Paltrinieri, another Italian fancier, finished in 4th place in the final race of Sofa 2016 with a 50% Van de Merwe pigeon. The renowned Potten Laenen combination (Ijsselstein, NL) and the Van Zoeren combination (Putten, NL) have been winning top prizes regularly with pigeons of Peter as well. Click here for a full overview of references. 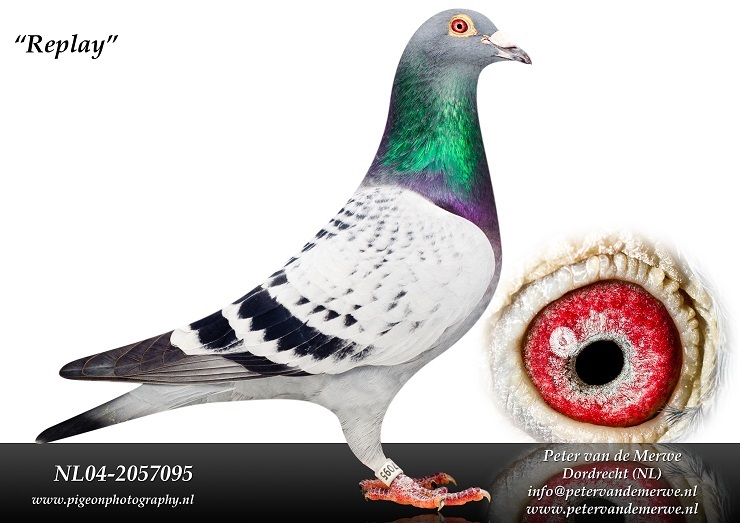 These references clearly show that the pigeons of Peter van de Merwe are among the very best both at national and international level.